CSK have enjoyed a fortuitous couple of years against RCB, trouncing them in both the matches the two sides played in IPL 2018 to win 15 of the 23 matches played between the two units. 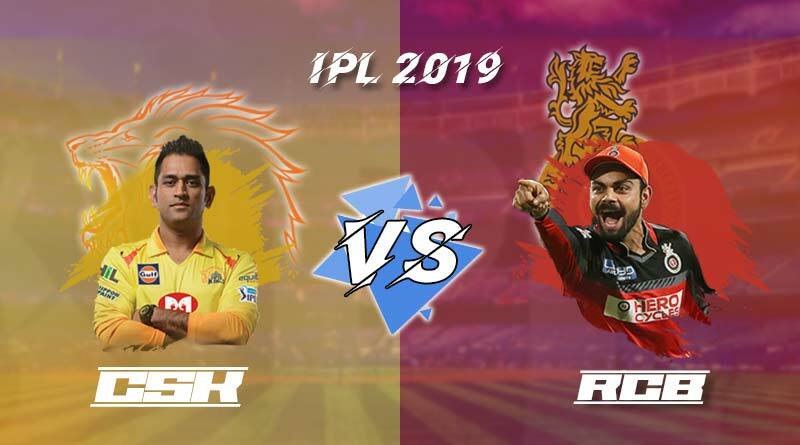 The frontier Indian Premier League is hardly a couple of days away and beckoning with it is the highly anticipated tournament opener between the Royal Challengers Bangalore and the Chennai Super Kings. A rivalry that has only grown by leaps and bounds ever since the IPL came into fruition. It’s a clash that has over the course of the league seen some tantalizing clashes take place and this one promises to be no different. Having been defeated by CSK in both the matches the two played in IPL 11, the onus lies on RCB to overturn what is a woeful record against their opposition. With just 7 wins in 23 matches, RCB despite their power-packed line-u have failed to turn up against CSK, seeing their nearby city rivals end up on the winning side more than they would have liked. Come this season, the pivotal clash will continue to rest of heavyweights like Virat Kohli and AB de Villiers for the RCB who’ll be looking to make a real statement in their bid to finally get their hands on a trophy that has eluded them for so long now. The two pivotal players are maverick, possessing expansive strokeplay which will need to turn up come March 23 for the hosts. With CSK retaining their same squad, adding just two names to their squad, Jadeja will continue to possess a huge threat against RCB and the duo of Kohli and AB de Villiers need to ensure they are able to work him around cautiously. Having always enjoyed himself against RCB, Jadeja has put on defiant bowling spells and his 4 overs of spin will be eyed by RCB’s team management ahead of the match. What will be a massive test for RCB though come the clash will be how their ace line-up of Yadav and Southee can contain an extremely ominous batting unit that CSK possess. Lined with T20 specialists that run as deep as number 8, it’s a heavily stacked batting attack, one that will find it all too easy to take apart RCB’s bowling unit as the slightest bit of room they are given to free their arms. For RCB, the spin will also play a major part on the surface that will aid the slower bowlers as the match goes on. Chahal who endured a lackluster Australian series is all too conducive of being taken apart and we could see Tahir being played alongside him to add the much-needed strength against CSK’s batting unit. What it promises to be though is a high scoring encounter. Expect a hoard of boundaries come the league opener in a riveting encounter which is too close to call as we finally head into the 2019 edition of the Indian Premier League. For more articles like RCB vs CSK IPL match preview, do follow us on Facebook, Twitter, and Instagram.